What is this workshop about? 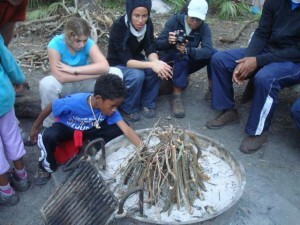 This workshop educates on the primitive art of creating fire. If you have chosen to read about this workshop description, then you are already on your way to experiencing one of the most powerful and enriching achievements of your life. Unfortunately, very few people truly understand and appreciate what it means to create fire out in the woods with their own hands. Obtaining this skill takes much patience and respect, yet it is fairly straightforward to learn. We will focus on several different building blocks of fire-building and build one-match and leave-no-trace fires. Then it is time to turn friction into flame. Where is the workshop held? We work best in the outdoor classroom. That being said your backyards, front yards, local parks, and open green spaces are our specialties. You can come to our location or we can come to you. Why is this workshop important? If you take a second to think and look around at your surroundings, you may realize that the energy of fire is present in our everyday lives. It’s what we depend on everyday when we open the refrigerator for tasty treats, ignite our four wheeled gas ships, and to fog up the mirror for the morning shower. Essentially, as human beings, we have been living off the miracle of fire for thousands of years. It has become a necessity for life, but few of us have knowledge of the skills to make fire without modern technology. Imagine if a zombie knocked on your door tomorrow evening…I guarantee that you would eventually find yourself living out in the woods wanting the security and warmth of a fire, not to mention using it to cook your food over. The zombie apocalypse is a drastic example, but it proves a point. Let us prove our point that you have what it takes to create fire and have fun doing it without the pressure of the walking dead. What will we do? The nature of this workshop allows us to focus on the several different building blocks of creating fire. There are two phases to this class: First, we will study the building blocks of fire: choosing the right type of dead wood and materials, building a framework, selecting an appropriate location, and fire safety etiquette. We will collect and identify useful materials, build proper fire structures, challenge ourselves to to create a fire only using one match as well as create a Leave No Trace fire. Once these skills are learned, we turn to the second phase: utilizing the bow-drill or hand-drill to turn friction into flame. In this process we will use only dead wood, rope, knife, and muscle to create fire. 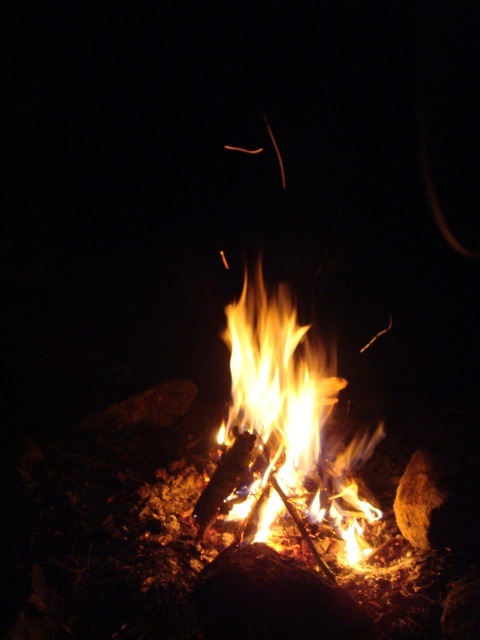 This workshop is for all shapes and sizes of hands, rough or pampered, as well as anyone who has an interest in knowing how to create a successful fire whether it’s in the backyard fire pit, on a weekend camping trip with family, or even in a serious survival situation. We will prepare you with knowledge and skills to feel confident in creating fire.